Caine & Weiner is in a select group of U.S. agencies that invests the time and expense to undergo an in-depth audit approved by the American Institute of Certified Public Accountants (AICPA). The AICPA made an important update to the Statement on Standards for Attestation Engagements (SSAE) that simplifies and converges standards to unify them with international standards. 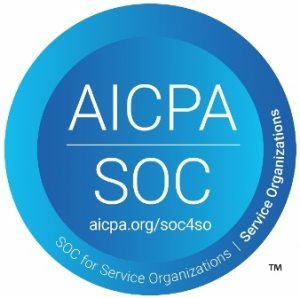 The previous SSAE 16 SOC 1 Type 2 Audited status will now simply be known as SOC 1 Type 2 Audited and can be recognized by the blue AICPA/SOC logo. Upon completion of the SOC 1 Type 2 audit in 2017, Caine & Weiner was issued the Soc 1 Type 2 compliant audit report for 2018. The new SOC 1 Audits are strongly focused on risk assessment, especially with the recent increase in data breaches. The SOC 1 Audit standard now requires that Management acknowledges and accepts its responsibility for identifying risks, then designing, implementing and documenting controls to mitigate those risks. The SOC 1 Auditor attests to whether the appropriate controls are in place. The 2018 Audits are also focused on monitoring subservice organizations. Service organizations are required to not only identify the critical organizations they rely on to provide their services, but also monitor that they, too, are complying with all relevant standards. What this means to Caine & Weiner’s clients is the knowledge that they are dealing with a highly responsible service organization whose business practices include control objectives and activities specifically designed to safeguard information technology, financial reporting and related processes for their protection. In today’s global economy, when businesses entrust confidential and proprietary data to their service providers, the safeguards, accountability and transparency provided by Caine & Weiner is more critical than ever. Caine & Weiner, in fulfilling the requirements to achieve 2018 SOC 1 Type 2 Audit, continues to prove why we have been a leader in the accounts receivable management industry since 1930. Our clients rely on our best-in-class Receivables-to-Cash solutions to maximize their recoveries.